Goddard is the president of The Southern Brewing Company in Athens and lives in Lane Creek subdivision in western Oconee County. Goddard confirmed that he made the request of Amodei because of his relationship with Wiedower. Goddard said that Wiedower has been a leader at High Shoals Elementary School and that he also knows Wiedower because their children play sports together. Goddard, in a telephone conversation I had with him today, said he simply called on the Congressman for whom he worked to help out someone he supports in the local campaign. Goddard's Southern Brewing Company is a micro brewery located at 231 Collins Industrial Boulevard in Athens. 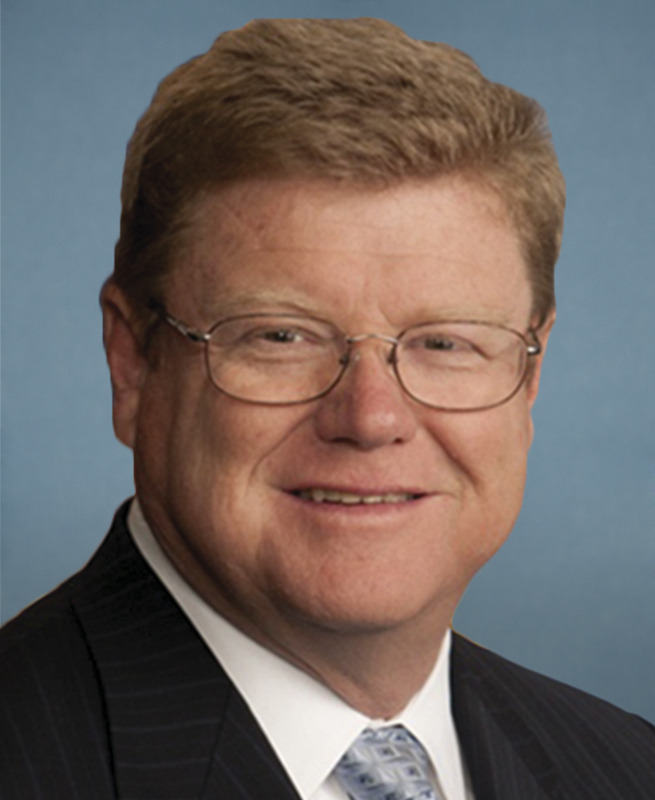 Amodei is a Republican who represents the northern part of Nevada, including Reno. He has served in Congress since 2011. Amodei does have opposition in the November election, but Ballotpedia rates his seat as safely Republican. The $2,000 that Amodei gave to Wiedower is part of the nearly $24,000 that Wiedower has raised for the special election on Nov. 8. The other two candidates, Chuck Horton and Ben Bridges, have raised about half that amount between them. Amodei has a Leadership Political Action Committee called Ponderosa PAC, headquartered at 824 South Milledge Avenue, Suite 101, in Athens, according to the Center for Responsive Politics OpenSecrets.org. Paul Kilgore is the listed treasurer of Ponderosa PAC. Kilgore is the president and founder of PDS Compliance, which does the paperwork and management of political financial entities. Goddard told me today that he learned that Amodei had created his PAC long after he had finished his term as Amodei’s chief of staff and that he had nothing to do with the decision to house in it Athens. Wiedower, when I talked to him last night, said he was unaware of the existence of the Ponderosa PAC until I told him about it. Amodei legally could contribute up to a total $2,600 to Wiedower’s campaign, according to the Georgia Government Transparency and Campaign Finance Commission web site. The $2,000 Amodei gave was the largest amount Wiedower reported on his Campaign Contribution Disclosure Report. Early voting continues to be strong in the county. By the end of the day today (Thursday), 5,837 persons had cast a ballot, or 21.0 percent of the county's registered voters. 1) A northern Nevada congressman gives $2k campaign contribution to a commission race in a small Georgia county. 2) That congressman has a political action committee hq'ed in Athens, GA.
3) His former campaign manager lives in Oconee County, GA.
4) The congressman's former chief of staff lives in Oconee, and asks the northern Nevada congressman to donate $2,000 to a county commission candidate he's never met. 5) The campaign contribution is Marcus Wiedower's largest by far, ten percent of his campaign coffers, and he knows nothing about it. 6) It is unfathomable that a former chief of staff for a congressman is unaware that the northern Nevada congressman has a political action committee based thousands of miles away in Georgia. It strains credulity that Goddard and Kilgore have no communication. Sorry, so many red flags. None of this passes the smell test. Marcus Wiedower, you have an insurmountable trust issue. This is your Access Hollywood moment. Now we know why you didn't want to disclose your campaign contribution list until the last possible moment. This guy makes me nervous. He has not been transparent about money and seems to be a politician in the making. He will be Melvin's puppet. He may be a nice guy, but has no experience in this field and it is obvious that he can be bought. Nice guys don't spin comments. Trust and lack of character appears to be the core of this guy. Nevada Congressman is heavily backed by the casino/gambling industry. What a great role model. Pass this blog post on. The amount of conspiracy in the comments here is unreal but then again what do you expect from the writer who took his campaign sign down while interviews with candidates at his home were being held. Sure is strange that a Congressman so far away with little or at least no known ties to our community would set up a Pac here. I wonder if Amodei or Goddard or Kilgore own land of development potential in or around the Athens or Oconee area. Or if they are partners or silent partners of some LLC. Only time will tell. Maybe Wiedower is the grass roots start of favors down the road? Maybe just paranoia because of the past few years? I am not aware of anything that Horton voted on while in previous office on the BOC or School Board that benefited him personally or that of his friends. Is anyone else aware of anything? Vote for Horton that doesn't appear to have a personal gain from his votes. I did not have a sign for Horton in my yard before I did the interviews with Bridges, Horton and Wiedower, so I did not take one down when I did the interviews. I, personally, did not put one there after I did the interviews. My wife asked Horton for a sign after I completed the interviews, and Horton put one in the yard at her request. I have included that fact in stories I have written. I followed up with Wiedower for his explanation of the contribution from Congressman Amodei BECAUSE of the comments people had left on the blog after the initial post about the contribution. I also contacted Goddard for the same reason. I reported their responses in this post. This is Richard Goddard, I don't post anonymously, or impune people's character that I do not know. Most of the above comments are the reason good people do not get into politics. You all should be ashamed. There is one candidate in this race that reached out to me as a voter, home owner, and a father of two kids in the Oconee school system. Only Marcus, no one else. So I supported him because he volunteers at my 2nd graders school and his son was on my sons baseball team. If you question my integrity, please have the decency to not do it annomonously. I would be happy to sit down with you and discuss civilly why politics is disgusting because of people like you. I should know. I came home to Geoergia because Washington is broken and I wanted to raise my kids back in Georgia. Unfortunately, it seems, some of our neighbors are as bad as the visceral environment that has given us the two candidates for president. I'm a fan of Lee Becker and his blog. He's a sound journalist, and I learn more about county dealings from his blog than the Enterprise or Leader. I know many journalists, local and national, and Lee's about as even-keeled as they come. I read the post about the Nevada campaign contribution, and then your comment about the comments. The out of state contribution was a head scratcher for me, and to be fair, any sane adult would have some questions about it. I've met Marcus a few times and like his energy and fundraising efforts for his children's school PTA. Got nothing against the guy. Anyone who runs for office becomes a public figure. There are going to be tough questions, and in this case, tough questions have to be expected for this oddity. I've seen nasty, mean-spirited blogs and social media posts in other forums. The ones posted on OC Ob's are usually civil and fairy tame. Mr. Becker is a good "referee". I'm not knocking Marcus or yourself; just making the point that it's not unfair for some blog posters to question an out of the ordinary campaign contribution. Tough questions and comments for any elected office race are part of the process. "disgusting because of people like you"?? I personally didn't read any comments that seemed overly mean spirited or crossed a line, but I'll freely admit when I'm wrong, and I could be wrong. Anyway, I wish all three candidates the best of luck. The Oconee County Commission clearly needs some new ideas and more than a little shaking up. Hey, Goddard, you attempted to bring Washington politics to Oconee and got called on it. This county is not for the taking by special interests-However hard they try. Let's turn on the Truth-O-Meter: It seems whenever a question of ethics and knowledge of the issues come into play-you and your paid guy candidate shout- "it's for the kids". Oh, but you state you came here because of a broken system. Here is the sweet deal you trade for: If you had a home in the Washington area you received top dollar in the sale (Washington metro area is the only place in the U. S. that was recession proof) and purchased a home in a great area for half the cost. How come where each race on the national front is so important to the Republican House majority, you and the Republican Nevada Congressman head to Georgia to dump cash? Also, is the Nevada Senate seat of concern? Finally, I can spell Georgia-you obviously can not. Let's focus on the issue at hand. Obviously, people have strong feelings about campaign financing. Let's focus on those. Mr. Goddard is right. Being anonymous should not be a cover for mean-spirited comments. So far, I have published all comments received. I would like to continue publishing them, but they must be respectful of differences of opinions. Dan- thanks for the thoughtful post. I appreciate your thoughts. Anonymous- thanks for proving my point. So WE "should be ashamed of" ourselves. You got caught. Not in a lie, but by good detailed journalism in something strange. Instead of a simple explanation, some sort of weird guilt trip is thrown. The issue absolutely is the contribution. From Nevada. To Oconee County. underscores a problem in understanding the citizenry of this county. "When a stone is cast, it is the hit dog which barks." Lee, thank you for the unbiased journalism as usual. You are an invaluable asset to this county and these revelations are enlightening.